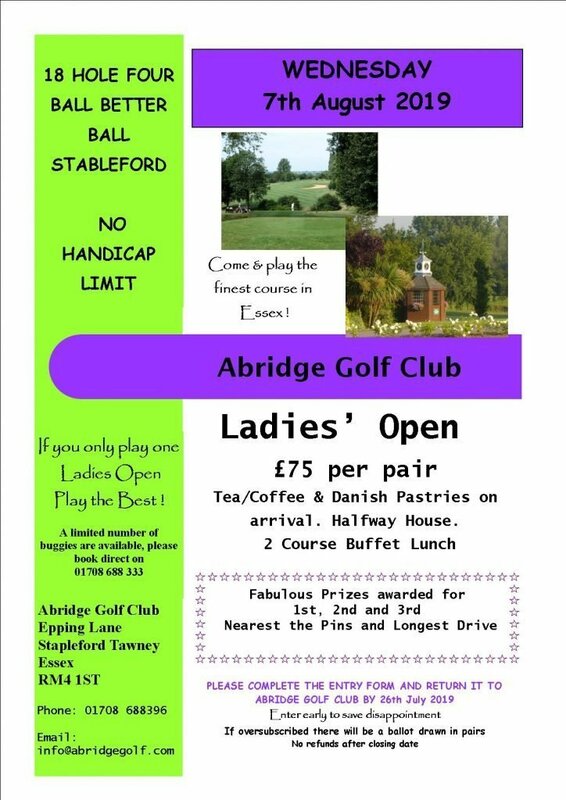 Abridge Golf club are hosting the Ladies’ Open on 7th August this year. Entry forms are available in the club house, or you can call the office on 01708 688396 to register your interest. The cost of entry is £75 for the pair and the forms needs to be submitted by the 26th July to secure you place. The day will consist of tea/coffee and pastries with on arrival. Then full 18 holes four ball better ball format. 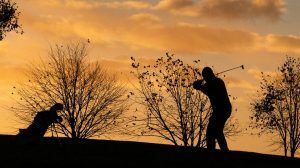 Where each golfer hits her own ball throughout the round but after each hole, only the best score amongst the pair is recorded and counts as the score for the team for that hole using the stableford scoring system. We will then finish off with a two course buffet lunch and prize giving. We have some fabulous prizes for 1st 2nd and 3rd along with nearest to the pins and longest drive. What are you waiting for? Register today and come join us for what will be a fun filled day.